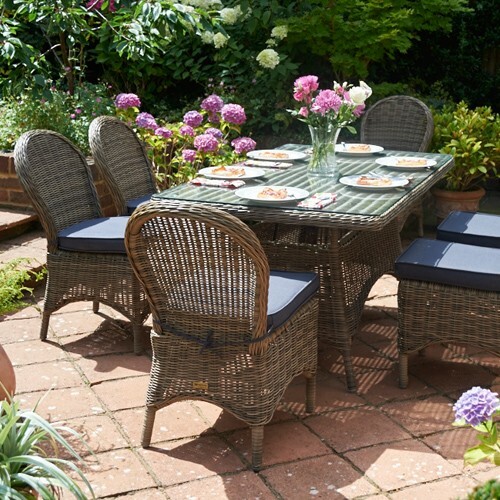 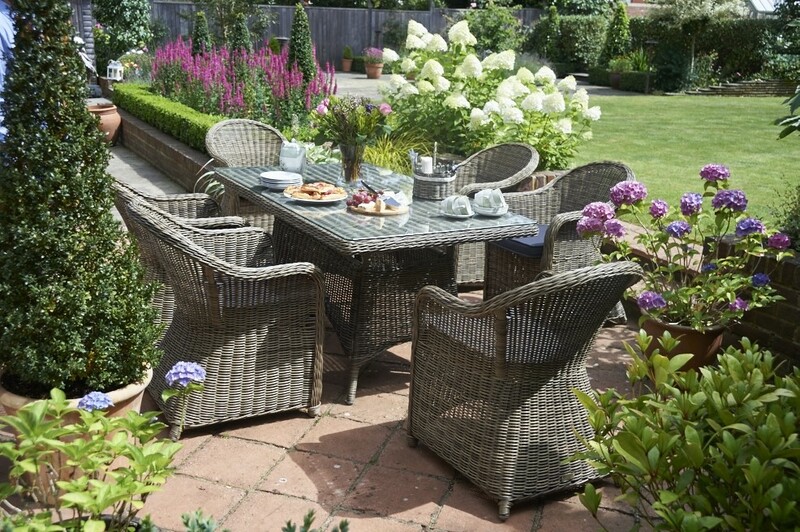 Choose the charm of woven rattan minus the maintenance with the marvellous Mayfair collection which is part of the Wickerline range. 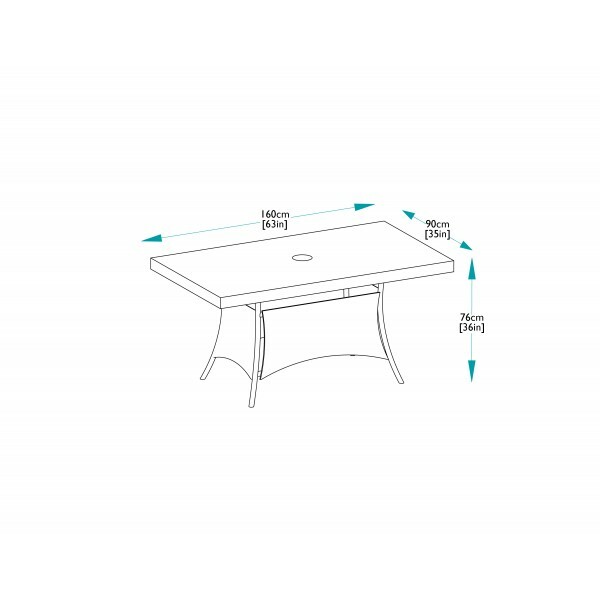 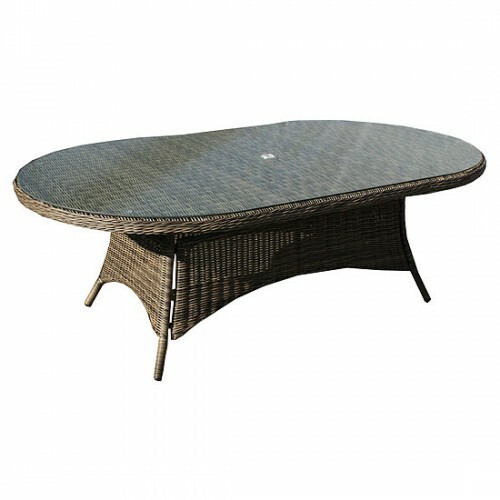 This Mayfair 160cm dining table is a fine example of what this range has to offer. 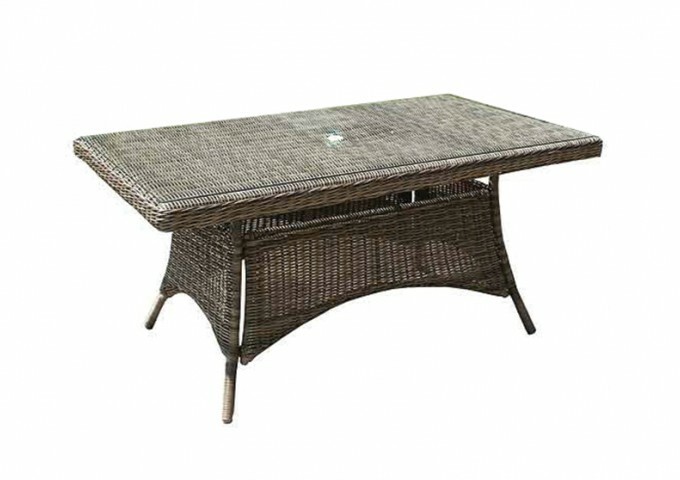 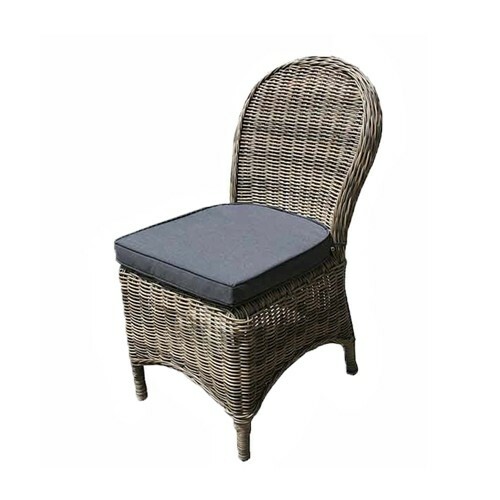 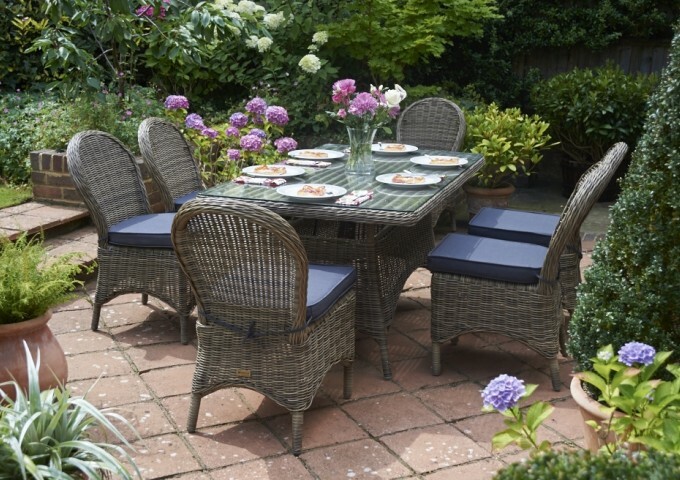 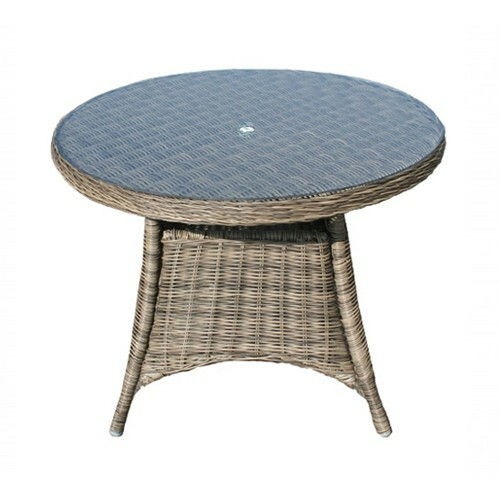 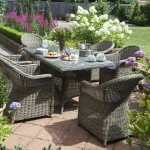 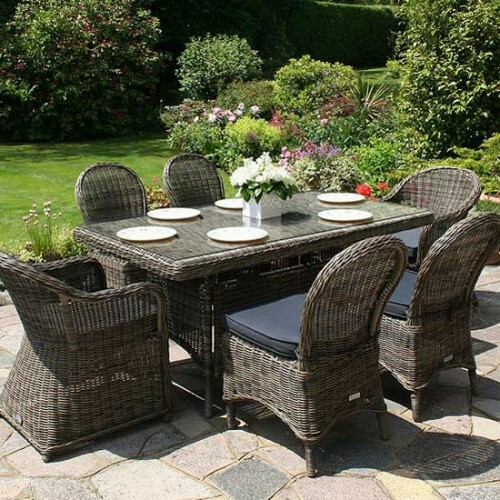 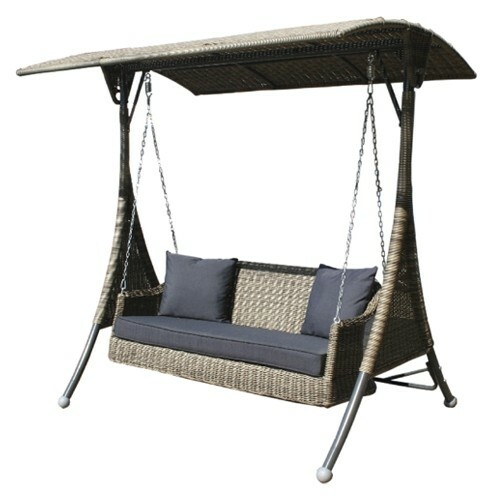 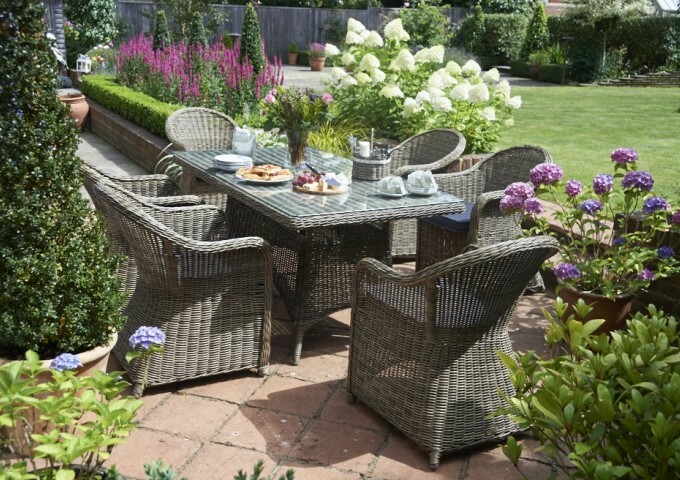 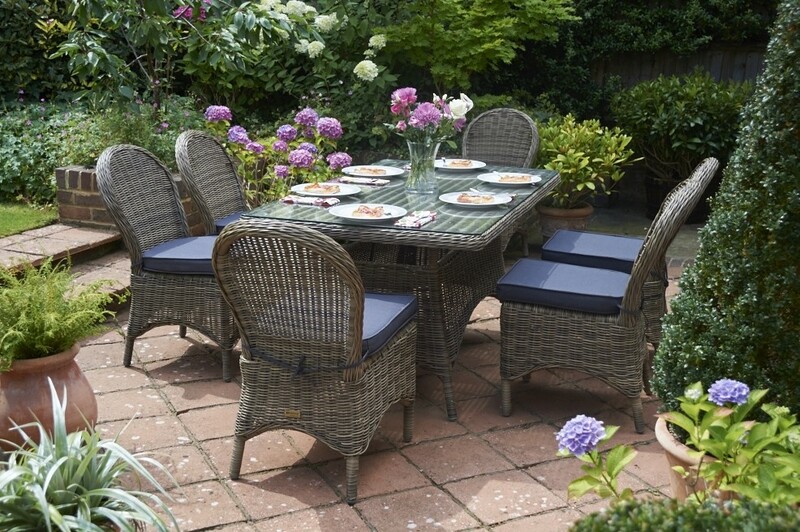 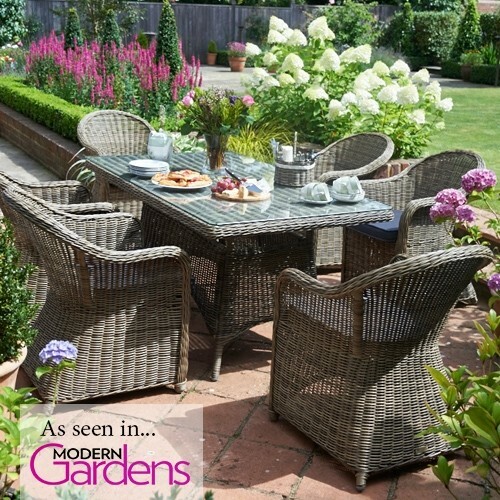 The stunning olive woven finish is beautifully suited to garden settings in more ways than one. 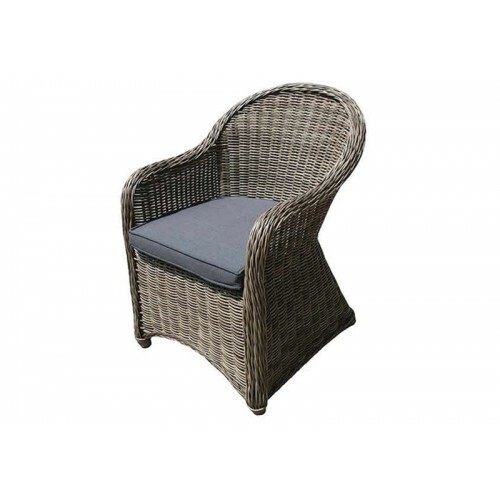 It is fully weather resistant and boasts a natural beauty that blends well with the greenery of your garden. 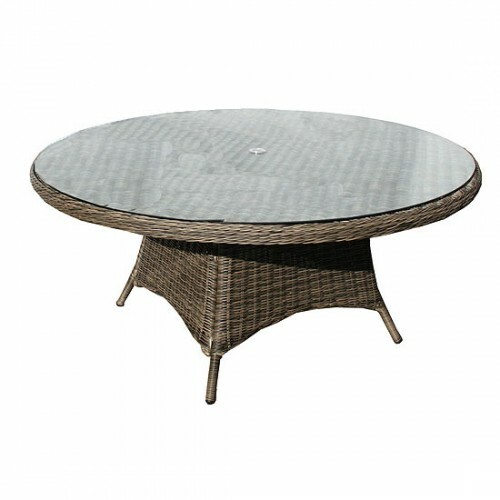 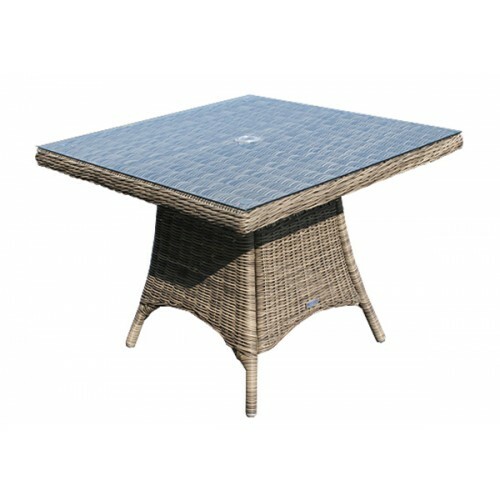 The weather resistance runs right through the design with robust aluminium framing and a strengthened glass top with a parasol hole, so this table will always look its best to impress up to six dinner guests. 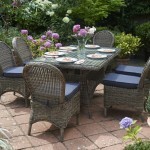 The material is easy to clean and convenient to care for as it can remain outside without any maintenance required. 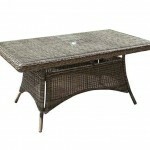 Pair this table with a set of Mayfair Dining Chairs or Armchairs from the Mayfair collection to create the perfect set.